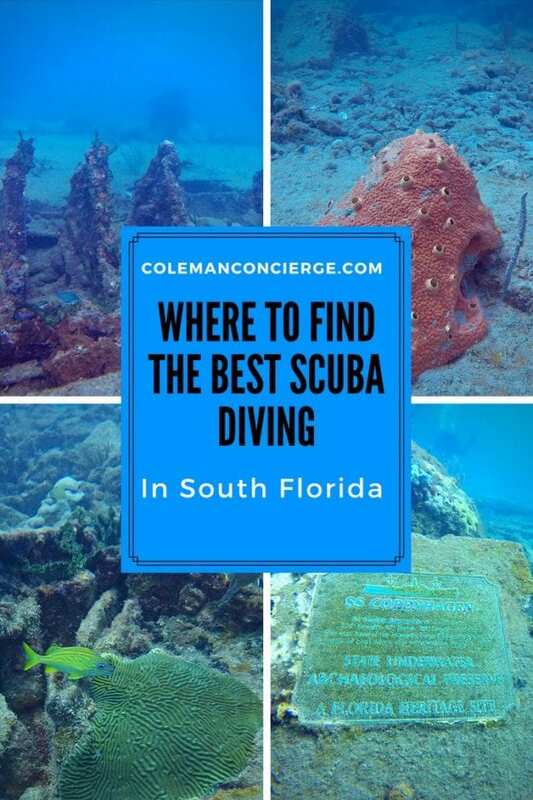 Scuba Diving in Fort Lauderdale/ Pompano Beach topped our Florida bucket list for a while. 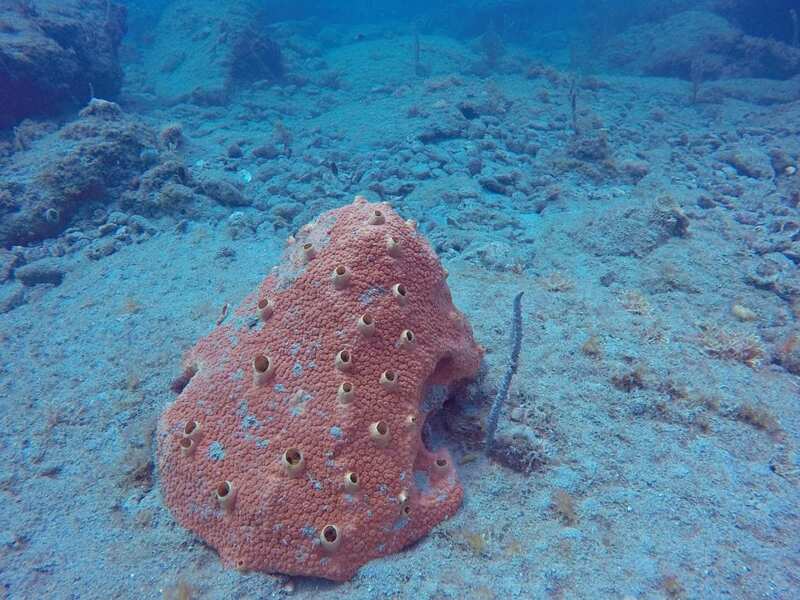 We learned to dive less than 200 miles away on our Honeymoon in Nassau Bahamas. Could we get a similar experience at home in Florida for less than $100? 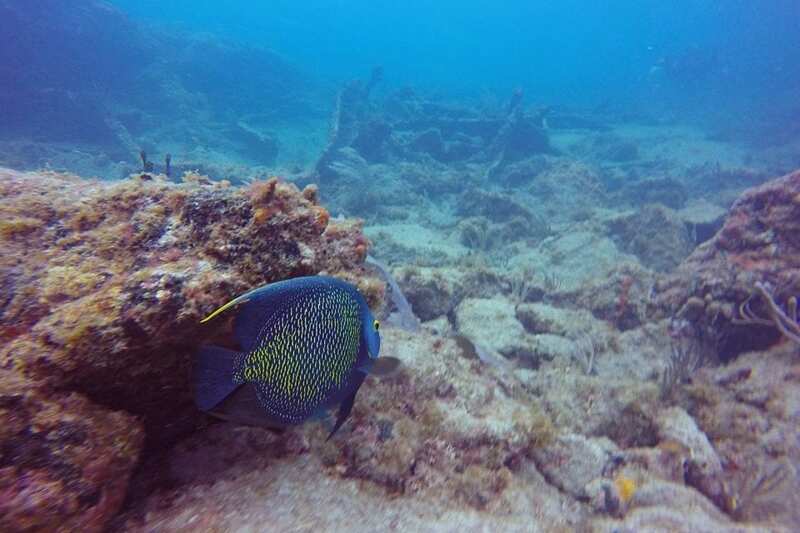 When we heard about Pompano Beach Dive Park, we had to check it out for ourselves, and we were not disappointed. 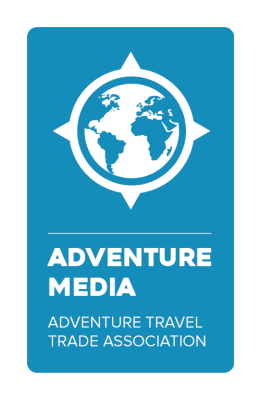 Keep reading to learn about our trip, the Pompano Dive Center, and our dives at the SS Copenhagen and Nursery complete with beautiful underwater photography. What better way to spend a romantic weekend in Fort Lauderdale than by re-creating our honeymoon. No, not that…… Diving. We first learned to dive on our honeymoon in Nassau about five years ago, and since then we have found every opportunity to return to the sea. While we were living in San Diego, I often went diving in the cold waters at La Jolla Shores, but the chill and the dark didn’t appeal to Jenn. 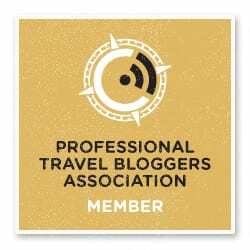 When we realized that the frigid Pacific wasn’t calling Jenn, we changed coasts and landed in Florida. With so many amazing things to do, we plan to be busy. 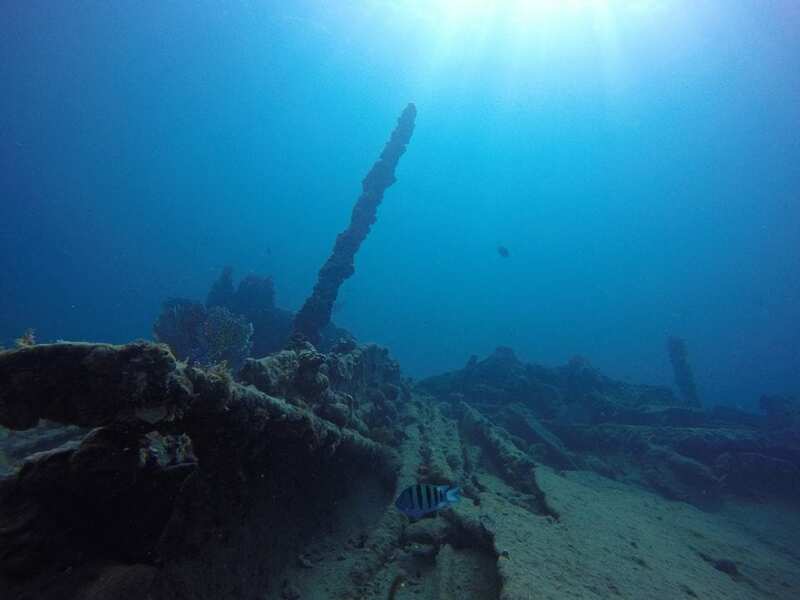 We researched the best places to dive in Florida, and the Keys always seem to top the list, but not too far down was the SS Copenhagen off Pompano Beach. The Copenhagen sank on May 26, 1900, on the way to Cuba carrying a load of coal. Imagine when coal was being shipped instead of oil, and Cuba was a regular stop on US shipping routes. Times change but the seas hold many secrets, mysteries, and stories from the past. 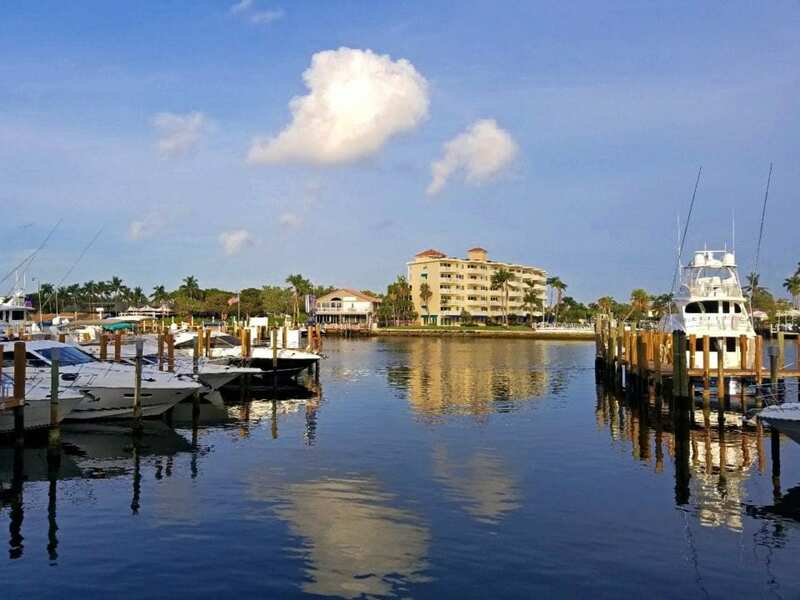 Pompano Dive Center, located in the Sands Harbor Marina at Pompano Beach, has a philosophy of maximum freedom and adventure. 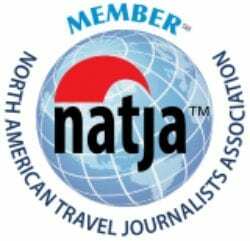 They also have a 5-star average on TripAdvisor out of 430 reviews and are the #2 tour in Pompano Beach. 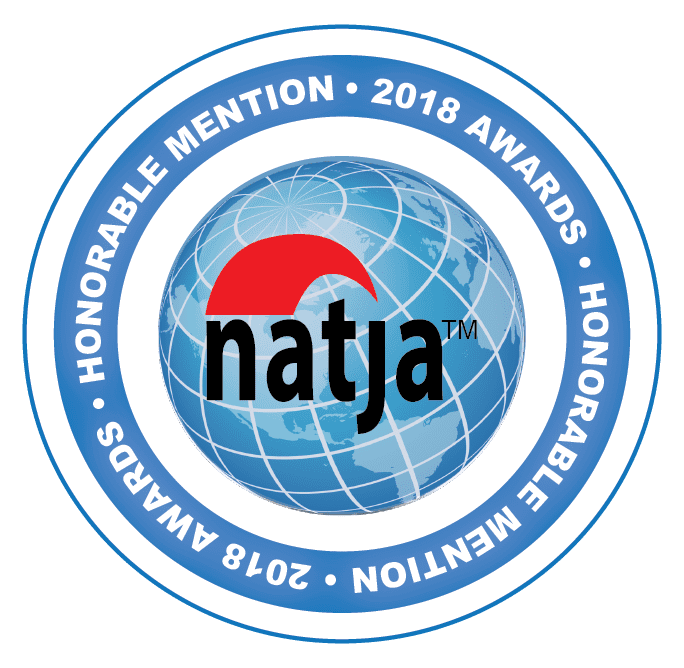 We wanted to start with a highly rated company to see if they are worth their salt. The shop’s location right in the marina made it super easy to get to the boat, but a little hard to park. We pulled into their lot, dropped our gear, and parked in the public pay lot just down the street. We found ourselves having to pay for parking everywhere during our romantic weekend to Fort Lauderdale, so this was par for the course. Pro Tip- get the parking app for your phone. Several groups arriving for the dive at the same time, so the app allowed me to pay for parking without standing in line. I wore my 3-mil full wetsuit and Jenn wore her 5-mil full jacket with a shorty bottom. We were both comfortable with our choice, even though we were diving in April. Another couple on the boat rented 3-mil shortys and were just a little cold. Jenn rented a BCD and regulator from the shop, both of which were new and in good repair. We donned our wetsuits on the shore and carried our gear to the Sea Siren. Tanks and weights were already on the boat for us. The Sea Siren did not have a compressor on board, so we had a tank for each dive. The Seal of Fort Lauderdale has a graphic of the sun and sea mixed together. On the top, it says – City of Fort Lauderdale. On the bottom, it says – Venice of America. 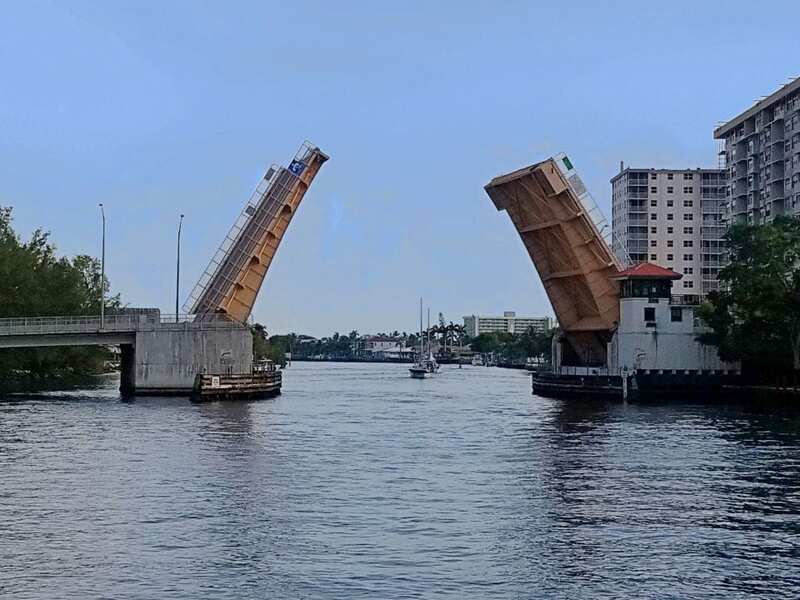 More than 300 miles of canals bisect the city creating a watery maze of drawbridges and homes straight from the lifestyles of the rich and famous. As the Sea Siren worked her way from the Sand Island Marina to the Hillsboro Inlet, we felt like we were on a romantic gondola ride. 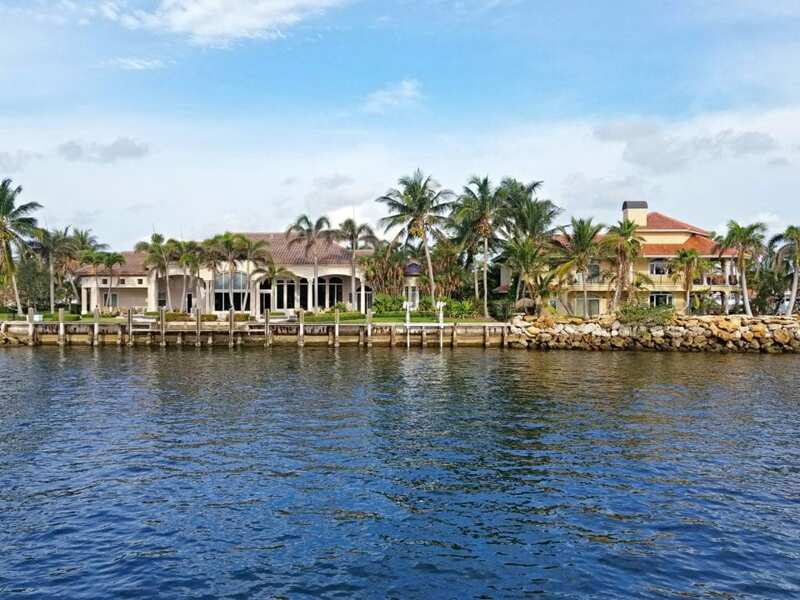 The trip through beautiful mansions, luxury yachts, and operating drawbridges went by quickly. 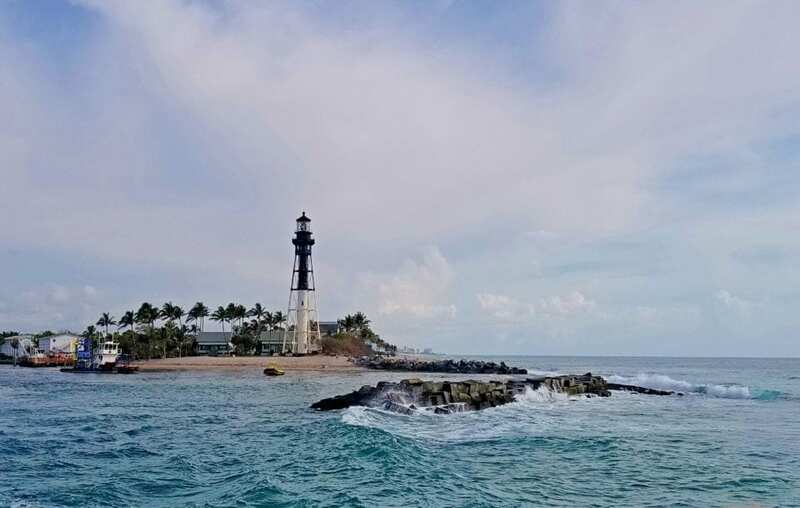 Soon, we cruised by the Hillsboro Lighthouse and onto the reefs that sit just offshore from Fort Lauderdale and Pompano Beach. 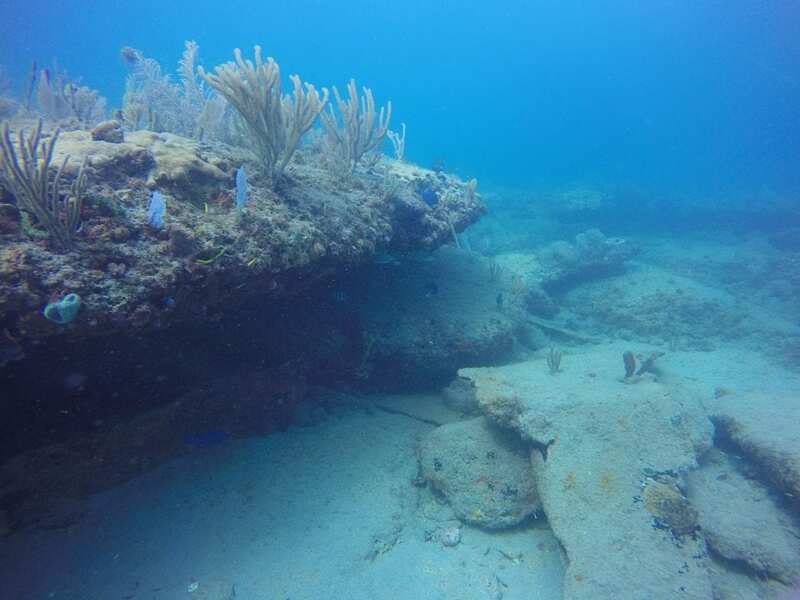 Just offshore from Greater Fort Lauderdale sits the Florida Reef, one of the only coral reefs in the continental U.S. 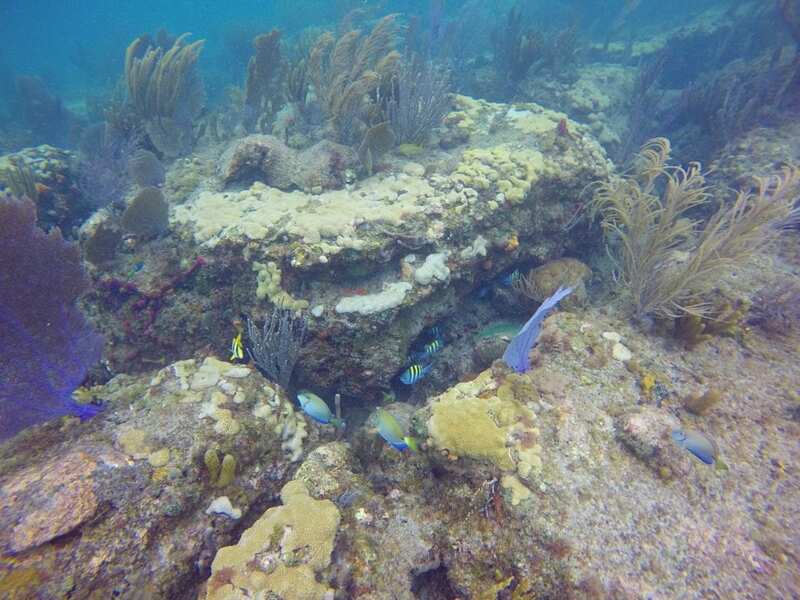 The three-tiered reef runs from the southeast coast of Florida to Palm Beach and continues down to the Keys. These tiers, known as the inner, middle, and outer reef, were once the seashore when the oceans were lower. Over time, these paleo shorelines developed coral and structure. 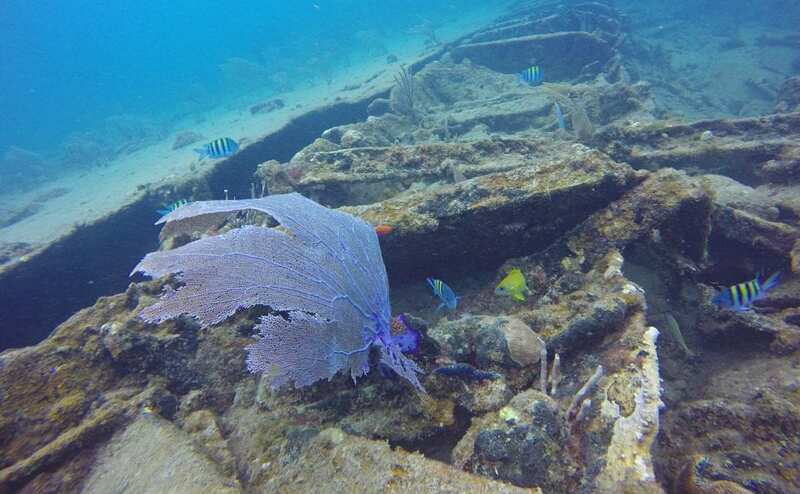 In recent history, any number of ships have wrecked on these reefs. 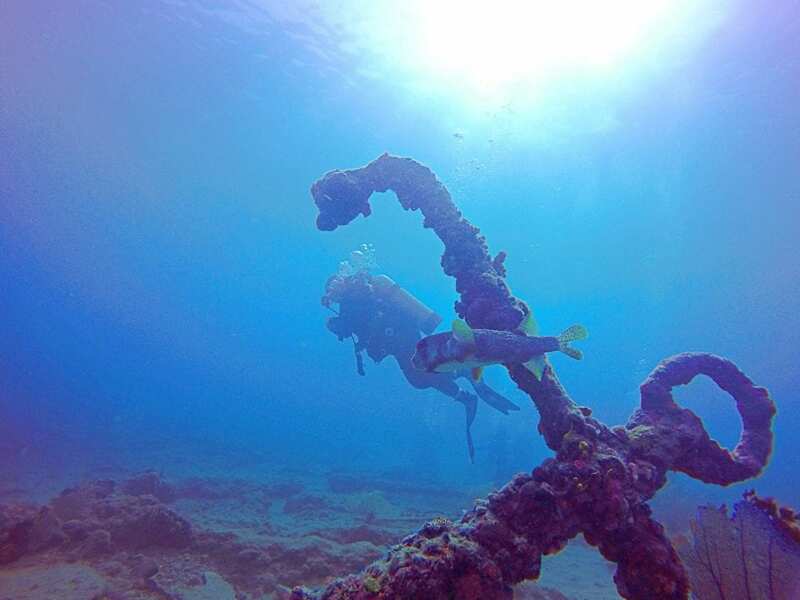 In addition to the excellent natural dive conditions, organizations like Shipwreck Park Pompano Beach, have put in over 75 artificial reefs offshore from Broward County. 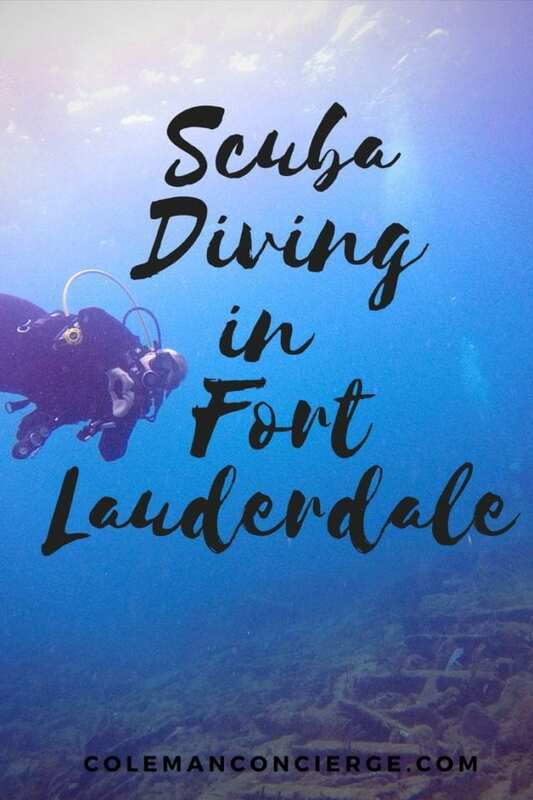 We have an interactive guide for Fort Lauderdale diving with about 100 dives sites listed. 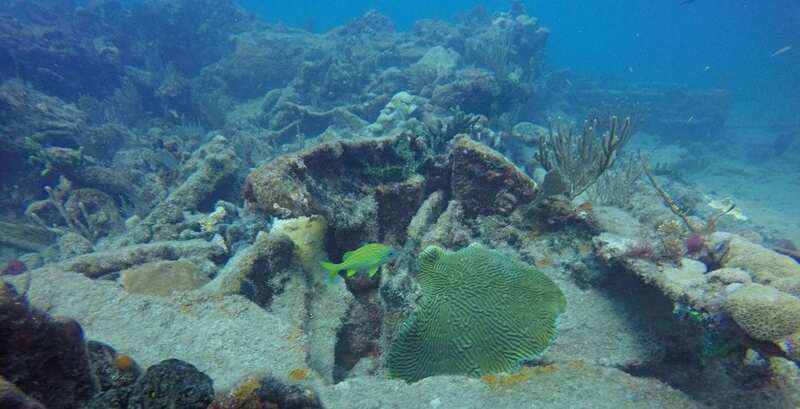 The inner reef sits roughly 300 yards from shore, with beginner dive sites and snorkeling sites in 15 feet of water. The middle reef is a just a little farther out, with dive depths from 45 to 60 feet. About a mile offshore is the outer reef with 80-100’ dive depths. 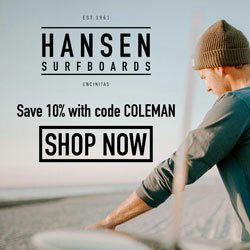 Most operators take you to the first or second reef where diving is generally mild, but can get a little wild if the Gulf Stream currents are pumping. 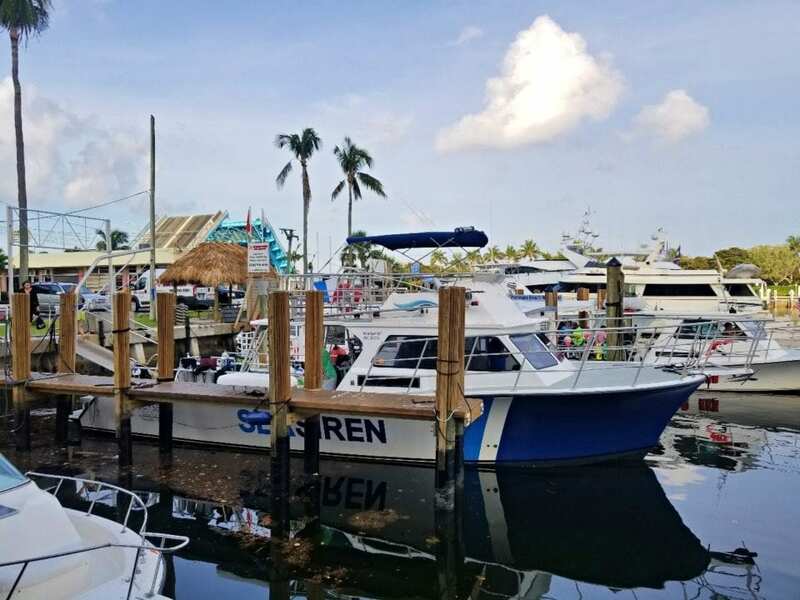 The SS Copenhagen is one of the premier dive sites in Fort Lauderdale and actually in all of Florida. It sits in 15-30’ of water, just outside of the Pompano Drop Off. 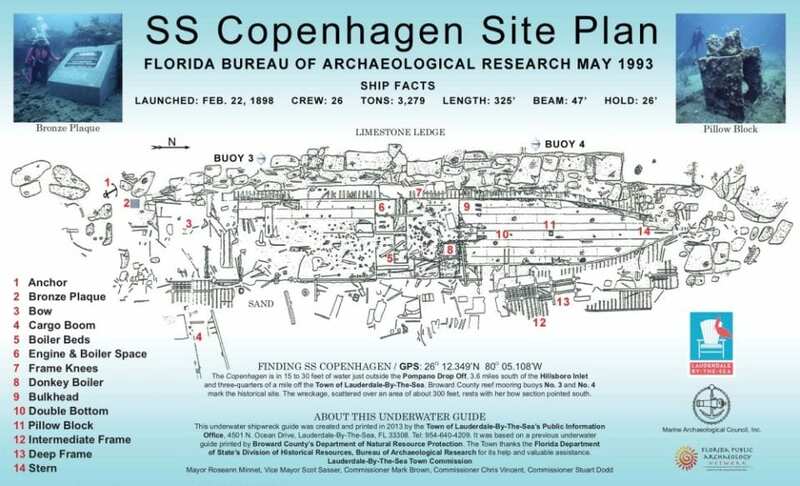 The Copenhagen has been dedicated an archeological preserve because of its rich history. On May 26, 1900, the Copenhagen struck the reef and began taking on water. Salvage crews tried to free the ship but were eventually called away to handle another maritime disaster in New Jersey, perhaps the Hoboken Dock Fires and the SS Saale. The Copenhagen remained above the waterline until Navy pilots used it as target practice in WWII. 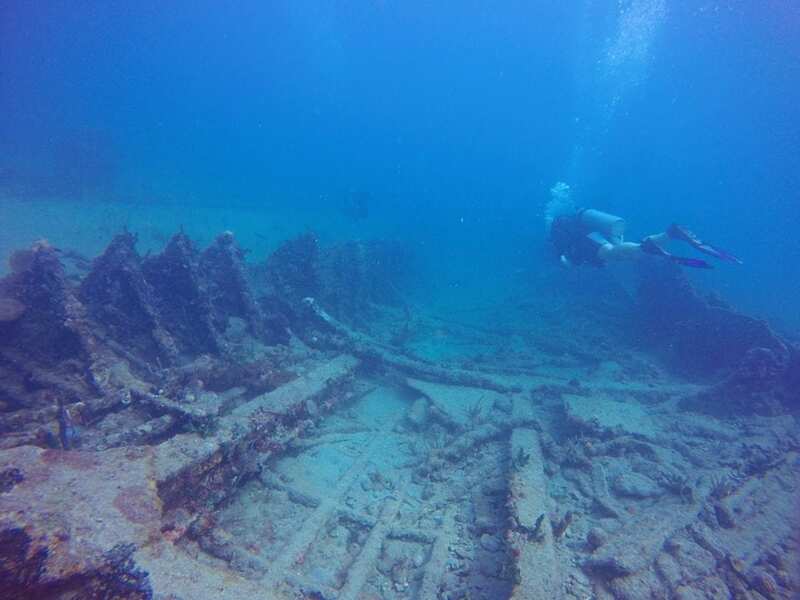 Once she sank under the water, she became lost from memory until divers rediscovered her. 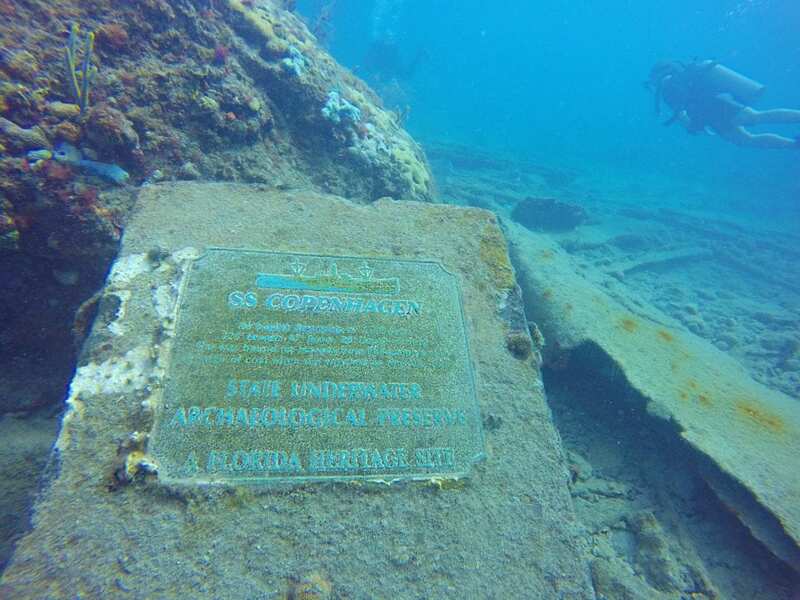 In 1994, the Copenhagen became Florida’s fifth shipwreck preserve. 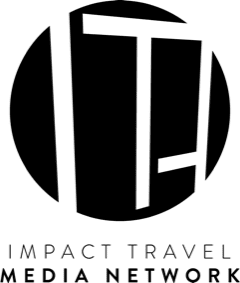 I firmly believe that we, as humans need transformative experiences and experiential based travel creates that opportunity. When you dive, the world becomes exceedingly simple, pure, and quiet. You become weightless and focus on achieving that zen-like state where you minimize each movement and maximize and every breath. The equation is simple; air equals bottom time. You also are responsible for not only your safety but your partner’s too. You double check all of your equipment to make sure that you will be ok when you enter the water, but more so when you drop down to the world below. Final ok sign. Exhale. We let the air out of our BCD then dropped down on the remains of the bow and quickly located two of the most iconic relics of the Copenhagen, the anchor, and the bronze plaque. As we continued to kick towards the stern, the ship structure became more and more evident. As I glided across the fully articulate ship frame, I could feel that my world had transformed. I wasn’t in today, but somewhere in history. Completely focused and completely free. I felt almost like a Navy pilot flying over a shipwreck. Except I wasn’t using it for target practice. Our bottom time was about 50 minutes. The current was mild that day, so we followed an out and back dive plan from the 2nd mooring buoy. Even though I am PADI Rescue Diver Certified, I still enjoy shallow dives. There is amazing light, long bottom times, and the ability to take short surface intervals. No sooner than we had switched out our tanks and gotten a little snack, we were ready to start our second dive at The Nursery. The Nursery got its name from a family of nurse sharks that have taken up residence there. I always feel that hiking is more exciting when there is a possibility of bears in the woods. So too, diving should have the possibility of sharks in the water. Of course, nurse sharks are super cute and docile, but even just the sight of a shark sends a primordial shiver up your spine. While we didn’t see any sharks on our dive, we did see plenty of colorful coral and tropical fish. 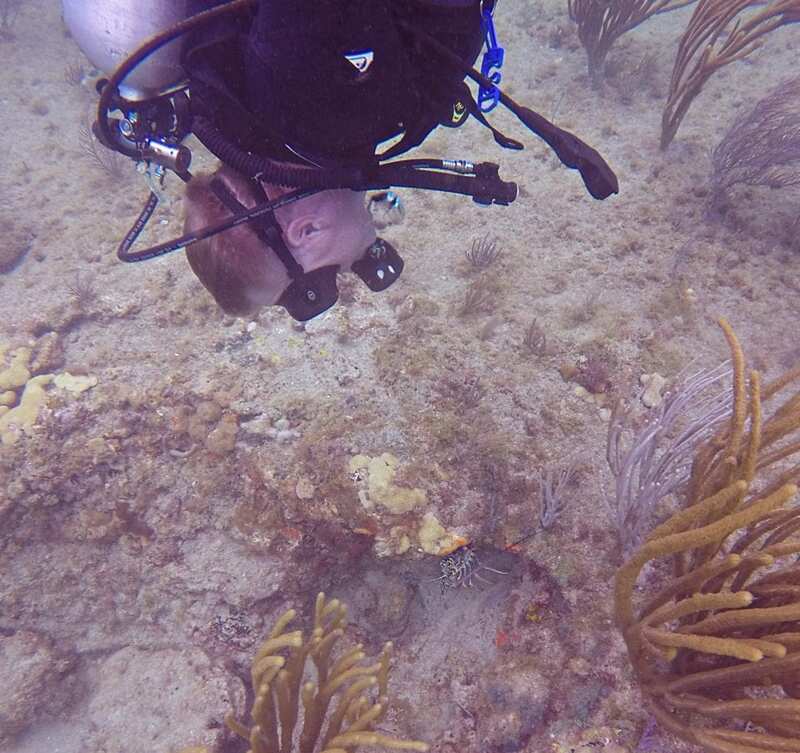 We dove another out and back dive plan across the undercut ledges and corals of the Nursery. 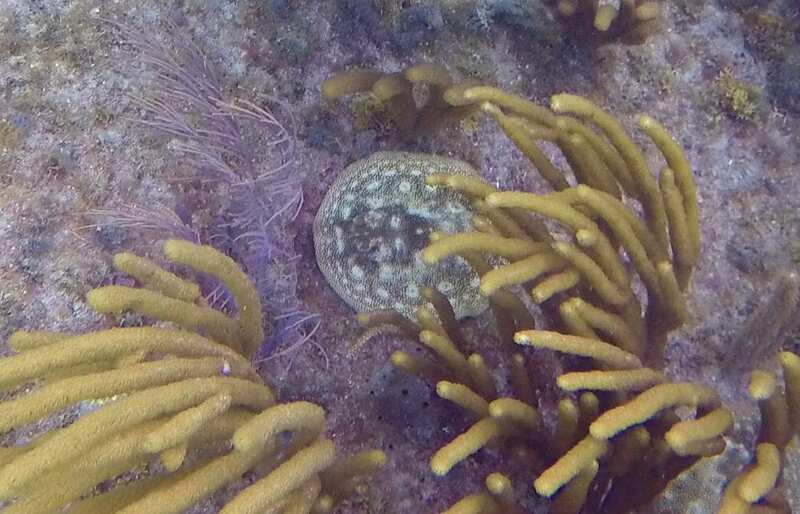 We saw sergeant majors, common sea fans, French angelfish, large star coral, and loggerhead sponges. 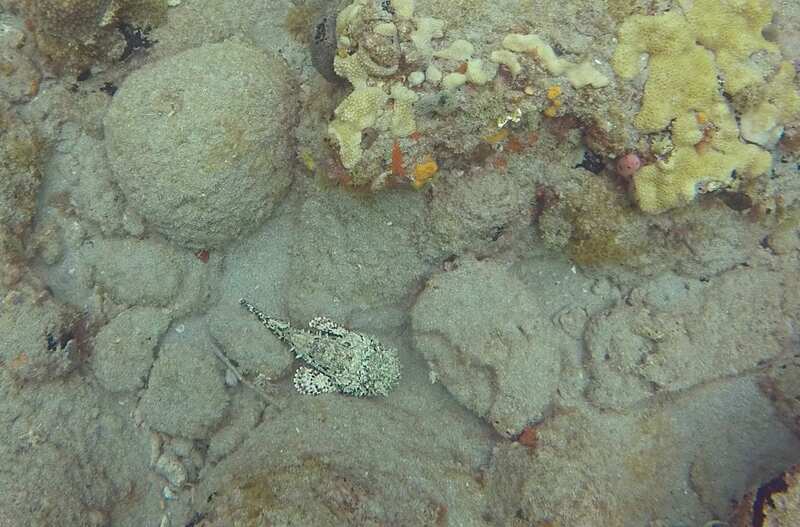 Perhaps the best encounters of the day were with a stingray hiding in the sand, and a Caribbean lobster tucked away under a rock. I had a fascinating personal diving revelation on my second dive. I am always a bit of an air hound (not a revelation). I wasn’t the one we had to surface for on dive one, but I wasn’t breathing commensurate to my experience level either. I wanted to do better on dive 2. Five minutes into dive 2 and I had already burned through 700 PSI of air (not a good start). Instead of focusing on my breathing, I started thinking about my movements. Each movement became smaller and more streamlined. For the next 50 minutes, I used only 1000 PSI and had decent pressure left when the group surfaced. Even though there weren’t any sharks, the Nursery was still a great dive with good structure and plenty of fish swimming around. It was also rewarding to finally get my breathing under control and not to be the one whos air consumption ended the dive. Recreational 2 Tank Dives – $65.00 per diver. 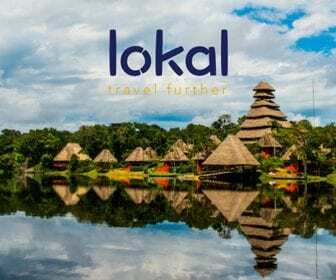 Snorkeling Tours, visiting 2 sites per tour – $39.00, per snorkeler. 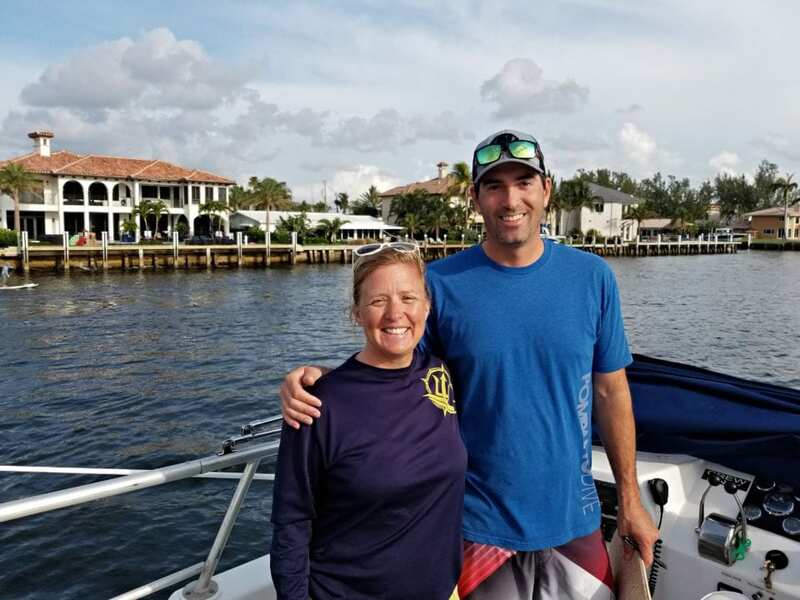 Even though our dives were sponsored by Pompano Dive Center, we truly enjoyed our time with them and can absolutely recommend them for their excellent service. 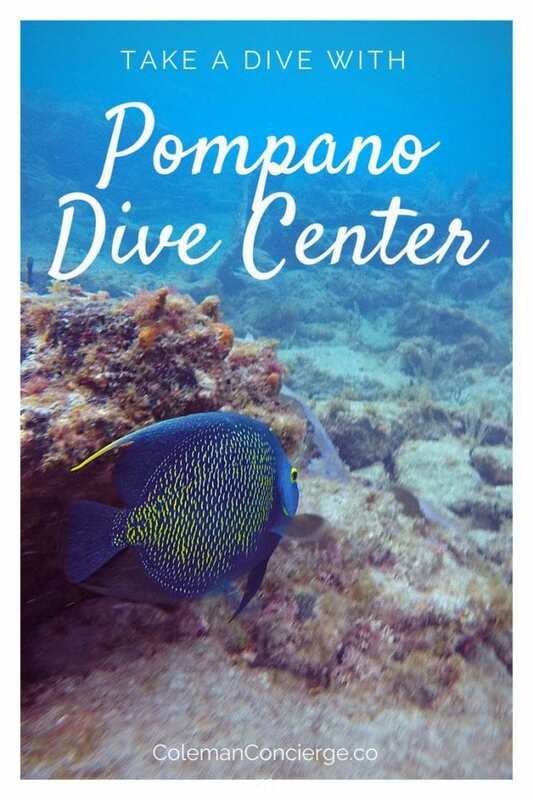 We hope to do more dives with Pompano Dive Center and have more stories to share with you about the warm, colorful and delightful scuba diving in Fort Lauderdale.